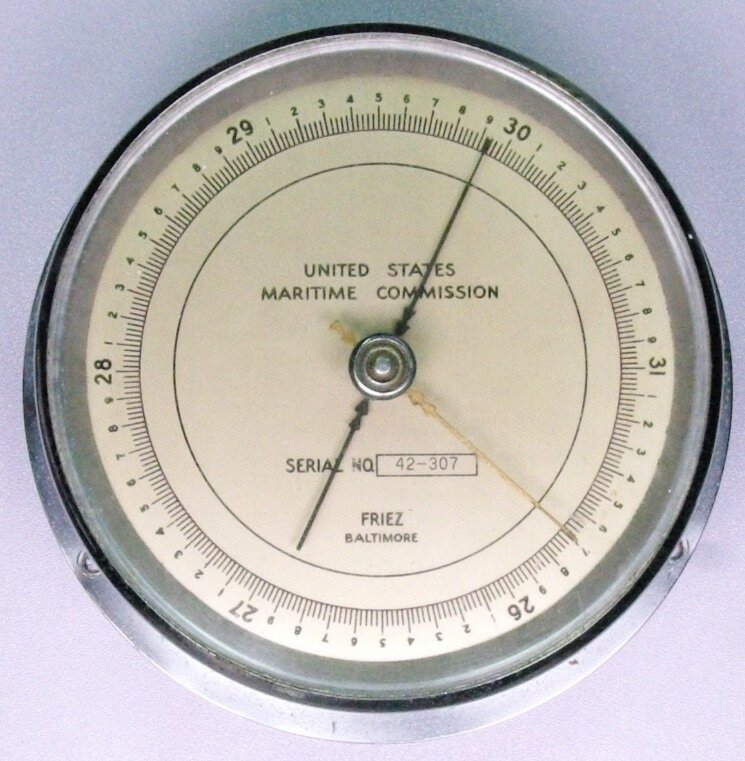 This 1942 Friez ship's barometer was used by the US Merchant Marine. 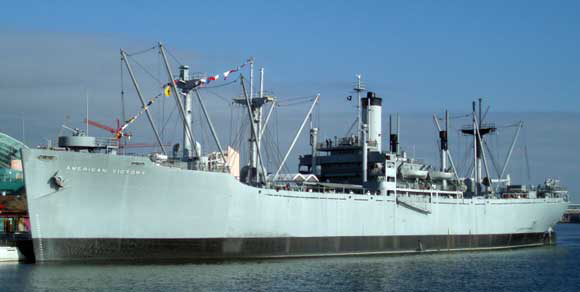 It reportedly was used aboard the victory ship SS Princeton Victory, which saw service in WWII and the Korean War. The 10,000 ton cargo ship was constructed and delivered in 73 days at Permanente Yard No 1 in Richmond, California. It was launched on February 9, 1945 and delivered on March 14, 1945. It has since been scrapped. The dial is about 4.75 inches in diameter. Go to the Friez catalog page.